Tangrams are an ancient Chinese Mathematical Puzzle, and there is an activity on using them as well. The tangram set created on this page works in much the same way, but it has a special Easter theme, and we shall create a vast array of birds from a single egg. 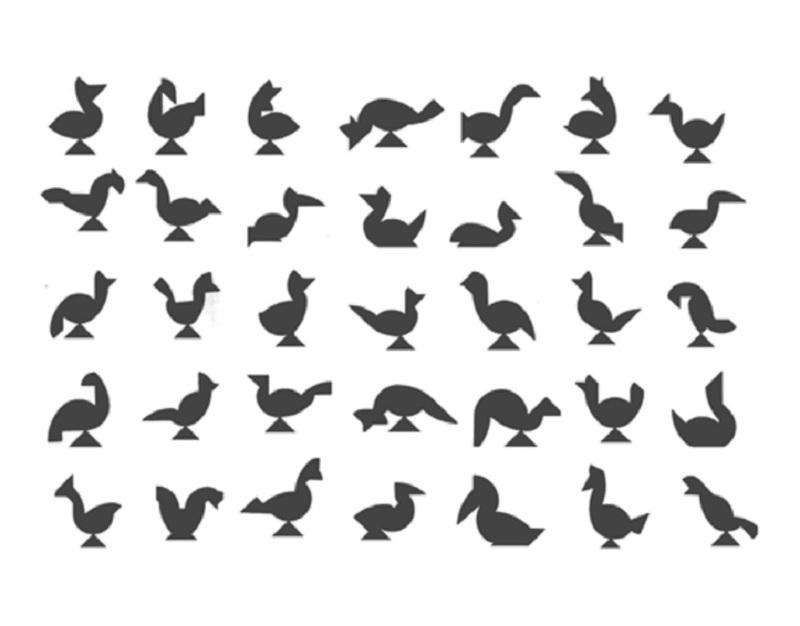 The first thing you need to do is follow the instructions given below to create your very own set of Easter Tangrams. These pieces can be combined in thousands of ways to create a variety of birds. A collections of the birds you can make are shown below. How many can you make? An example of how to make one of these birds is given below as well. 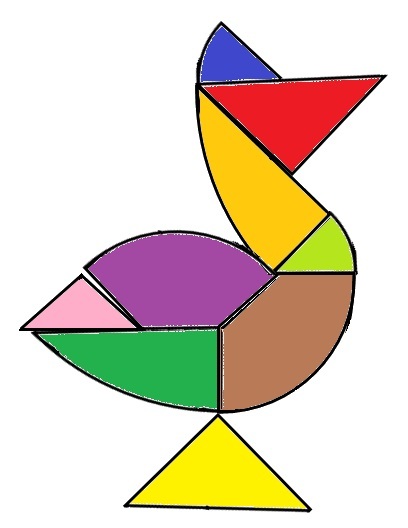 The Easter Tangram Egg is a fun shape based activity for the end of the Spring Term. Once your students have created a set of pieces by following the instructions precisely (preferably on card), they can then set about trying to create some of the birds using the pieces. Rather than sticking the pieces together, get the students to draw around the pieces (individually or all together) on a piece of A4 paper. Then they can colour them in to create a beautiful Easter Themed Display. As an extension, they could find their own birds, or other shapes, or design a poster to go with the display explaining how to make the pieces using Mathematical Vocabulary. You could also get students to make the Egg as a homework, to be brought in for the next lesson, and then use the pieces in the lesson. This file has instructions to make the Egg, as well as the selection of birds shown above. Additionally, the solutions to these birds are found here.